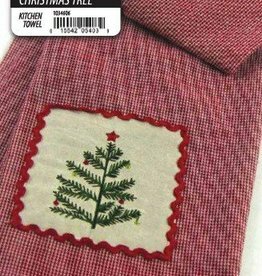 Features a lovely little Christmas tree on a natural background with a red ribbon border, set on a red and white cloth. An absolute favorite. 100% Hand-loomed Cotton. These items are affordable and beautiful.